Hello gorgeousness! So, my package from Sephora has arrived few days ago and I'm sorry if it took THIS long for me to unbox it with you guys. I got busy and forgot to show it on the blog. Anyway, it's here now and I'm so excited to share it with you! I ordered this on Monday last week (September 17th to be exact) with free shipping on order of RM80 and above. It arrived at my office on September 21st. I'd say it's not that painful to have to wait for my package to arrive because I made a smart move to order it on Monday. Yay me! They all came bubble-wrapped as usual. Nothing fancy. It's not a hassle to tore them too because you know sometimes companies love to wrap their products in a bubble-wrap with lots of tape on it for that extra protection y'know. 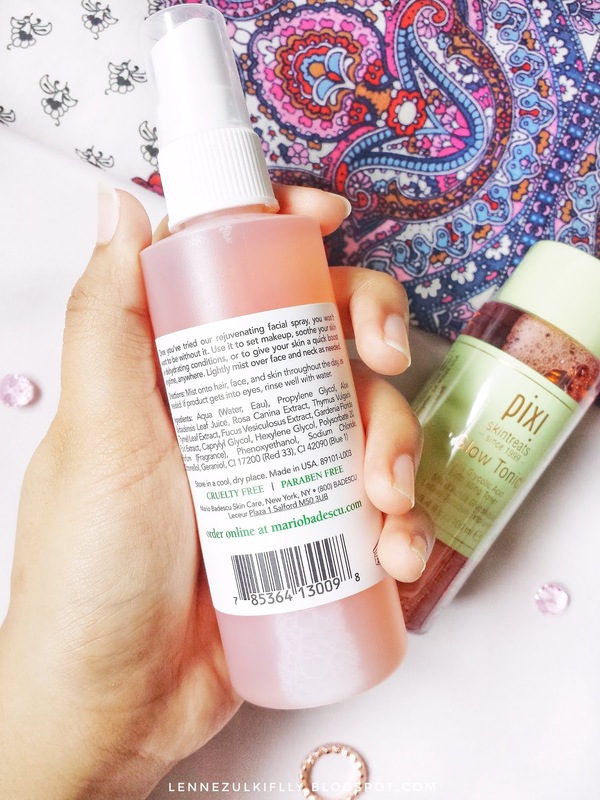 This is probably one of the most hyped about beauty products of all time and that is the Pixi Glow Tonic (RM67). I can't think of a single Youtuber/Blogger/Influencer that I follow who hasn't mentioned this product. As for me, I haven't been using it so much to give my verdict about it so I'm just gonna give my first impression and whatnot. 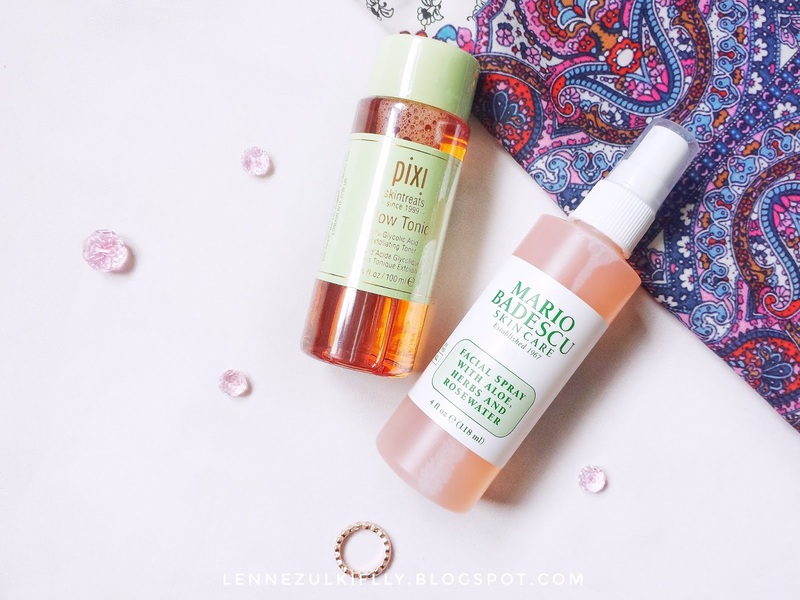 For those of you who doesn't really know what is this Pixi Glow Tonic thing, it is a toner. A gentle exfoliating toner, if you will. It contains 5% Glycolic Acid which basically helps to clarify the skin, brighten, remove dead skin and impurities from the skin. Yes, I know for some, the 5% Glycolic Acid may sound harsh and it MIGHT be the case for people who just starting out with acid toners, but if you have a stable basics before this, I think you will be just fine. This is my first time using a Glycolic Acid for my toner and I admit I was a bit nervous about it. Will I experience a burning sensation? No one knows. Follow me on Instagram for more updates, that is if I managed to not be lazy. That's all I can say, you can do your own research on Google for more info. 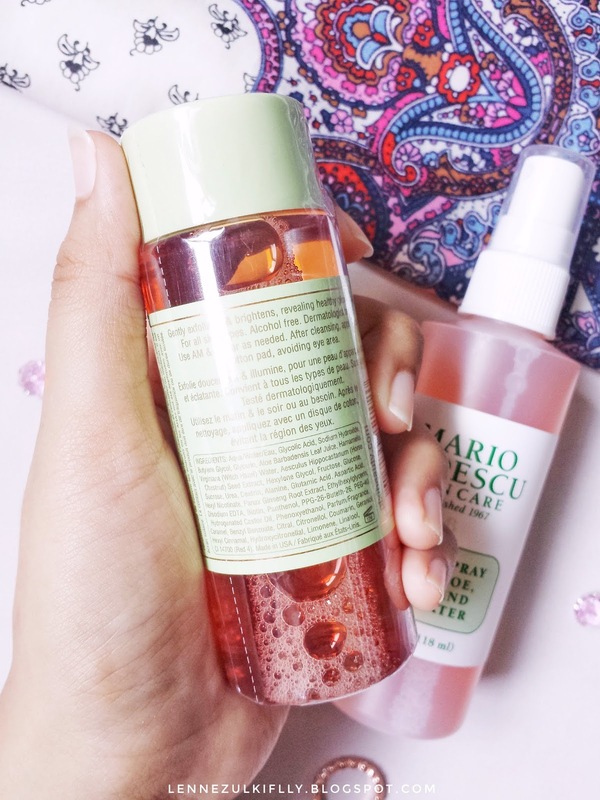 Next up, I got the Mario Badescu Facial Spray with Aloe, Herbs and Rosewater (RM42). It's Mario Badescu, everyone. I think no one could go wrong with Mario Badescu. Their skincare products are just tiptop! Their drying lotion is one of the best I have ever tried. This time around, I got their most-talked about facial spray just because I have been itching to try this due to that 'rosewater' goodness. It's highly beneficial for the skin, helps to keep your skin clear and fresh. It offers a multipurpose function in one - to hydrate, to fresh, to set the makeup or even to use it on dry hair. I bought it solely for skin benefits rather than to set my makeup or whatnot. 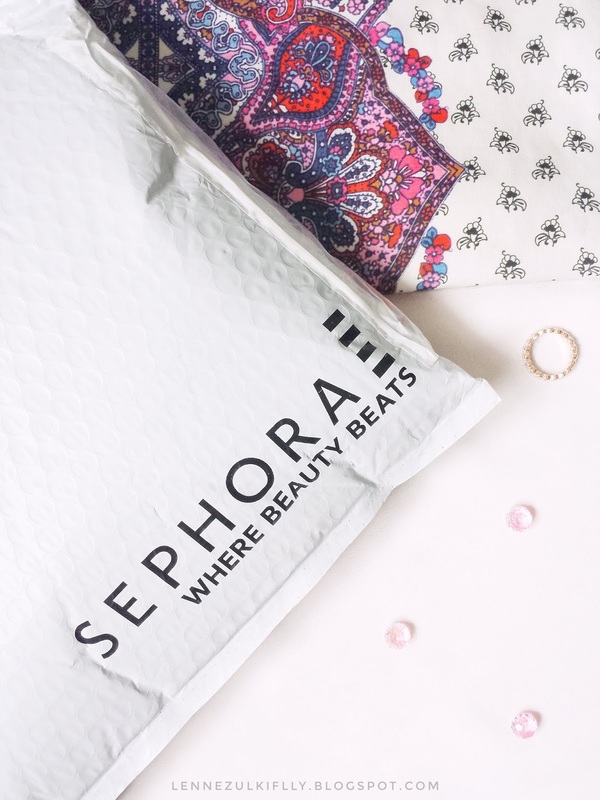 I hope you enjoyed my mini Sephora haul! Have you tried any from Pixi or Mario Badescu? pixi ni byk orang cakap best. tp echa tak pernah try lagi. Hey, I've the same Mario Badescu serum in my cart but I haven't check it out yet because I'm still confused with other products lol. I heard so many good things about those products but I havent tried it yet. In shaa Allah! I'm enjoying it so far but I can't get over the tingling sensation though.